KHARTOUM–Disputes have erupted within the Sudanese army command over who will head up a transitional council following President Omar al-Bashir’s reported resignation, well-informed sources told Anadolu Agency on Thursday. According to the sources, al-Bashir’s first deputy, Lieutenant-General Awad Ibn Auf, persuaded the president to step down amid continued popular protests. Ibn Auf, the same sources say, now plans to head up a military council to oversee the country’s post-Bashir transitional phase. 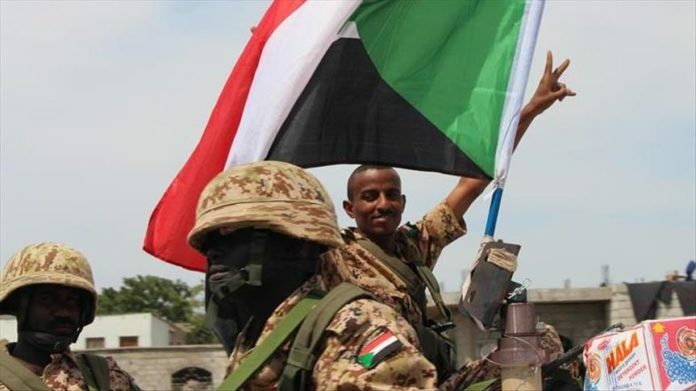 They add, however, that a strong current within the military is opposed to Ibn Auf, who is known for his closeness to the al-Bashir regime and who therefore may not enjoy popular support. Earlier Thursday, hundreds of thousands of people flooded the streets of Khartoum and other cities to express their joy following reports of al-Bashir’s resignation as president after 30 years in power.